About 5 minutes before I was planning to leave for this session the rain was still heavy. I had a conversation with India who was confident it was going to clear up so we made the decision to go ahead. By the time I arrived in Regents Park. The rain had cleared, the sun was out and the park was empty so we really couldn't have picked a better time. Regents Park in London is one of my new favourite places for an engagement photography session as there's so many really great spots. 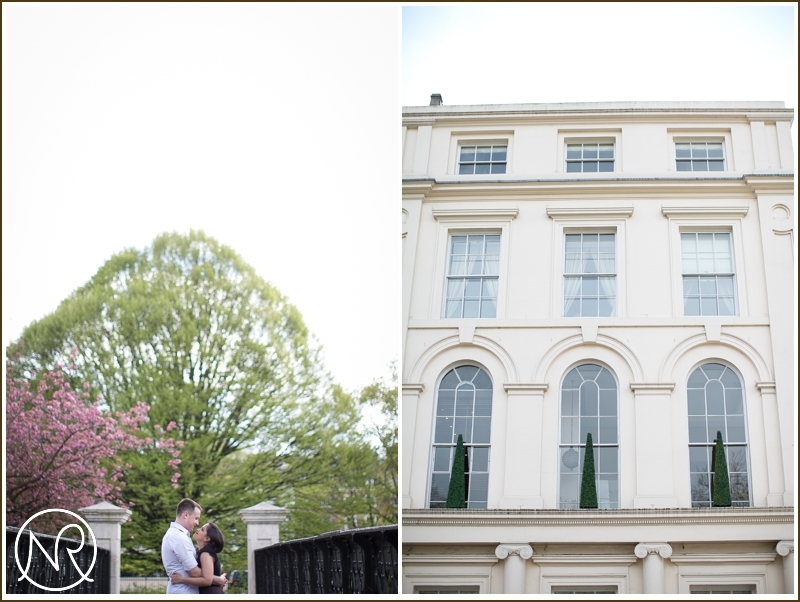 India and James were great fun to work with and I am so excited about their upcoming wedding! Here are a few shots from this sunny session in Regents Park. Don't forget to leave a comment and feel free to check out some of my London wedding photography and destination weddings by visiting the homepage or having a look around the blog.